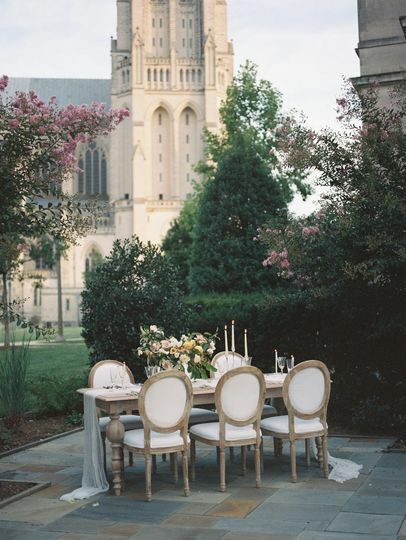 National Cathedral School | Grace Chapel is a beautiful wedding venue in Washington, D.C. This school and chapel provides both elegant indoor and comfortable outdoor options for your wedding ceremony and reception. 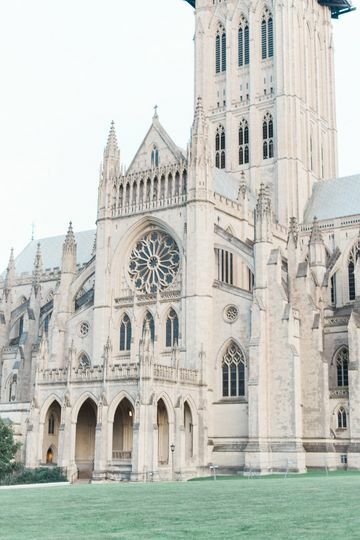 The National Cathedral School | Grace Chapel (NCS) is conveniently located in the heart of the U.S. capital, and has stunning views of greenery, gardens, and the Washington National Cathedral nearby. 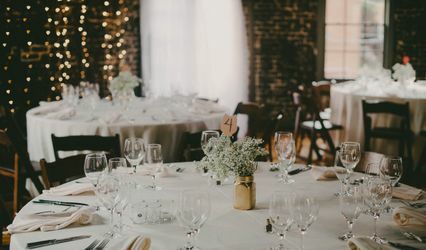 This facility provides everything you need from your wedding venue, including catering, multiple venue options, and a staff that is happy to help from now until your big day. NCS has several different options for wedding ceremonies and receptions, from small outdoor terraces to the grand chapel and dining halls. The Grace Chapel is perfect for an indoor ceremony. It’s modern architecture and stunning stained glass provide a perfect place to host family and friends. 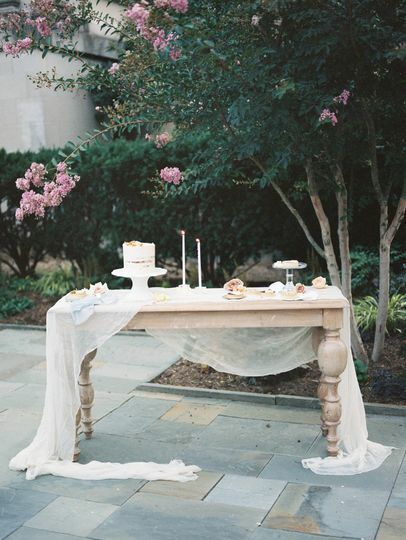 The chapel seats approximately 250, and welcomes weddings of all faiths and traditions. 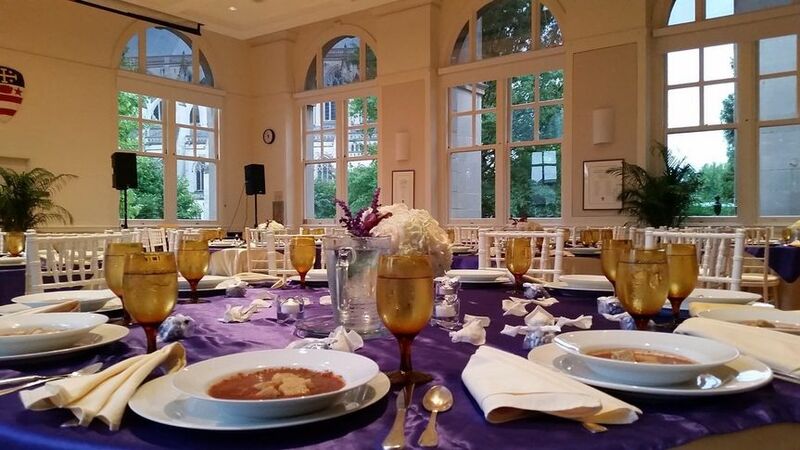 To the west of the Cathedral, you can find Hearst Hall, a historic and spacious building perfect for your reception. 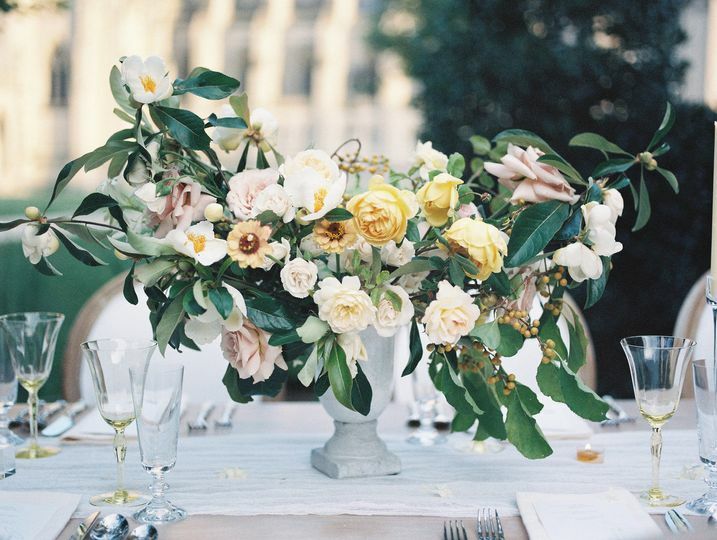 Hearst Hall is ideal for wedding receptions of 120-130 guests. NCS also has two outdoor terraces, Oak court and Whitby Terrace. 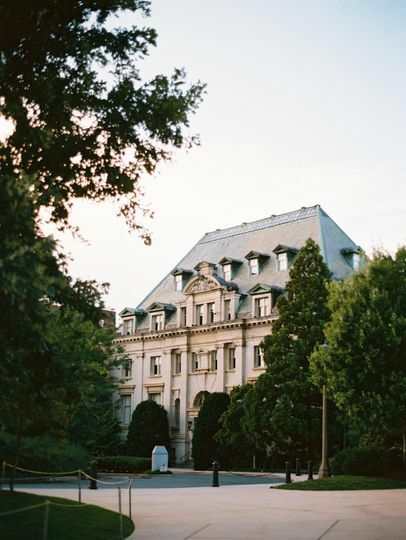 Oak Court affords a perfect view of the Washington National Cathedral, and is encircled by stone walls and rose bushes. Whitby Terrace also provides a great view of the city below, and is recommended for outdoor receptions. Come take a tour to see all the options that are available. 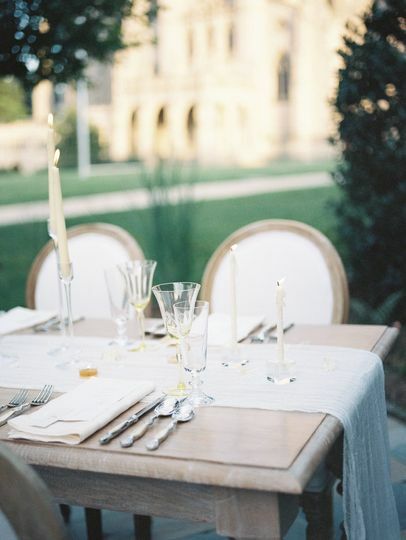 National Cathedral School | Grace Chapel provides couples with all-inclusive service, from catering to facility setup and unparallelled commitment by the staff. 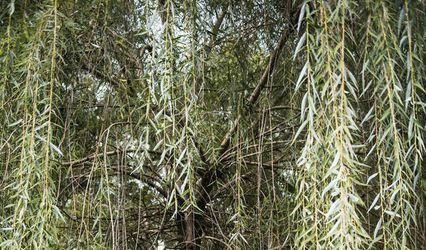 This venue provides on-site security and custodial services to help you prepare the ceremony and reception and help with tear-down after the evening is over. Some of the halls have built-in sound systems for your band or DJ to use. NCS also has their own in-house food service contractor, FLIK, which they are happy to provide for you, and provide barware and bartenders who can serve the house beers, wine, and liquor available. National Cathedral School | Grace Chapel is located on the grounds of the Washington National Cathedral on Woodley Road. While this is primarily a residential and school district, guests have the option of several nearby hotels, including Georgetown Inn and Georgetown Hill. My husband and I were thrilled when we discovered Grace Chapel and Hearst Hall as a venue for both our ceremony and our reception. Both venues are absolutely beautiful--they're simple, yet traditional, and we needed very little decoration to make them look even more beautiful. But the best part about the venue is working with the vendors--Danielle (Events Director) and Juliana (Catering Director)--are a dream to work with! We viewed several venues and Danielle and Juliana were the most helpful of them all. They were genuinely excited for our big event and were extremely patient as they answered all of our many questions. We would recommend working with them in a heartbeat! 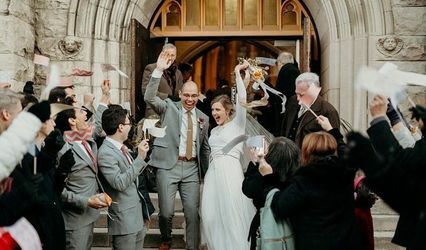 Our guests loved attending a wedding right by the National Cathedral grounds and it made it so easy for them to have the ceremony and reception in one place. Your guests only have to walk across the street! In addition, the food was amazing and the catering staff were even better! Our guests kept raving about both the food and how attentive and friendly the catering staff were. In short, book your wedding/event at this special venue NOW! Danielle goes above and beyond! Danielle was a pleasure to work with! I'm a local planner and I'm used to having an assistant from my team for the big day. For the wedding at NCS, it was a little smaller so I worked it solo. Danielle was a God send and I couldn't have done it without her! She not only served as the venue contact, and assisted the catering team, but she also assisted me and picked up any slack. She went above and beyond, and I cannot thank her enough! NCS is such a quaint venue that all couples should check out, religious or not. 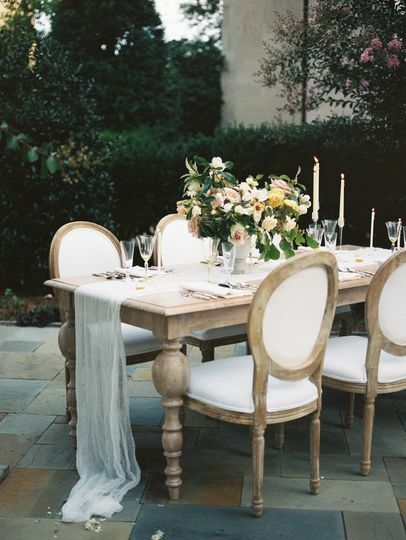 It's perfect for a smaller affair and has views and nooks for pictures galore! Our experience with Danielle and the whole NCS team was amazing from start to finish. Danielle was incredibly organized and proactive about sorting out details and working with our other vendors. We couldn't have asked for an smoother or more enjoyable experience, honestly.